Elmbrook Humane Society’s Wagfest is Coming September 7! The 6th Annual Wagfest is the place for animals and their people to come together as a community and celebrate the bond between them. Each year Wagfest is bigger and better with new attractions! All proceeds benefit Elmbrook Humane Society, the only no-kill shelter in Waukesha County. • FREE transportation from all parking lots to Wagfest by Boscos Social Club. DOGS ALLOWED! General questions, sponsorship opportunities, vendor questions, etc. Gilbert is a big boy with an equally big “pig”-sonality! He enjoy gentle pets and sharing a leafy salad with human friends (gotta watch that figure, ya’ know). 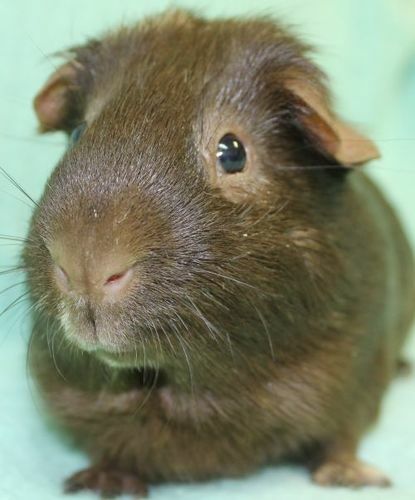 Gilbert is just one of a whole gang-o-guineas available for adoption at HAWS. We have pairs (Pepper & Oreo and Tebow & Moby) and singles (Charlie, CJ and Mucky). Adopt Gilbert or any of his piggy buddies at HAWS and receive a free copy of The Cavy Health Record Book! And be sure to save the date for HAWS’ annual Guinea Pig Primer, coming October 27th! Stop by in person – HAWS is open 7 days a week.